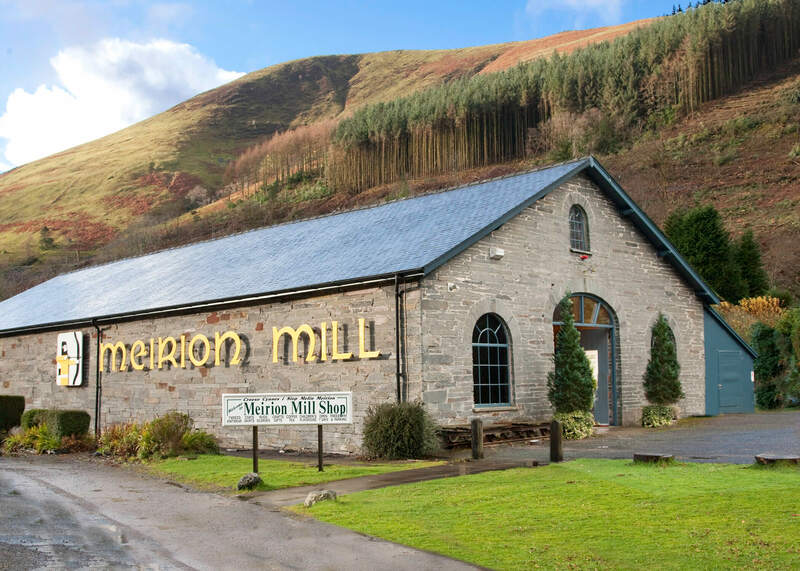 Ensconced among the breathtaking mountains of Mid Wales, Meirion Mill has become a welcome sight for travellers from the world over; visitors have been enamoured with the tranquillity and natural beauty of the area. Specialising in a range of products, from clothing to soft furnishings and home wares, our spacious shop has an extensive choice of original products. For a collection of versatile, outdoor clothing, our selection of all-weather items include famous brands such as Regatta, Champion, Sherwood Forest and Lazy Jacks. You will also find attractive knitwear designs from Aran Crafts and Black Sheep Knitwear, and contemporary styles from Lily and Me right here in the heart of Wales' most stunning scenery. You can take a part of our corner of the world home with you, with our choice of fine rugs and throws and carefully selected gift ranges including Thomas Joseph and a selection of Wrendale cards and china produced by Portmeirion Pottery. The building which houses the shop and cafe was part of the old Mawddwy Railway and many railway relics still remain. A history of the site and surrounding are was collected in the booklet 'Arriving at Dinas Mawddwy' by Julian Hunt on sale in the mill shop price £1.95. Come and visit us at Meirion Mill, for a unique and welcoming shopping experience, or just to sit back and enjoy a cuppa at our coffee shop. Take time out to relax among the dramatic Welsh landscape. We look forward to seeing you.